In 1854 British travel write Isabella Lucy Bird visited Prince Edward Island for six weeks, and published an account that was both scathing and charming: Paris may be the gayest city in the world, she wrote, and London the richest; but... "Charlotte Town may bear away the palm for being the most gossiping." "The further you go from Charlotte Town, " she continued, "the more primitive and hospitable the people become; they warmly welcome a stranger, and seem happy, moral, and contented." 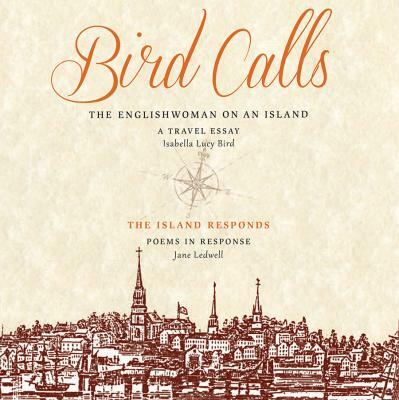 Contemporary Island poet Jane Ledwell was both fascinated and exasperated by Bird's comments and she "wrote back" - 160 years later. 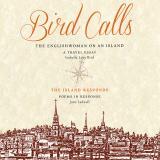 Bird Calls weaves Ledwell's response poems and Bird's travel prose into this intriguing conversation that contrasts PEI then and now, and showcases the talents of the two accomplished writers - from very different generations.